Astrophotography. 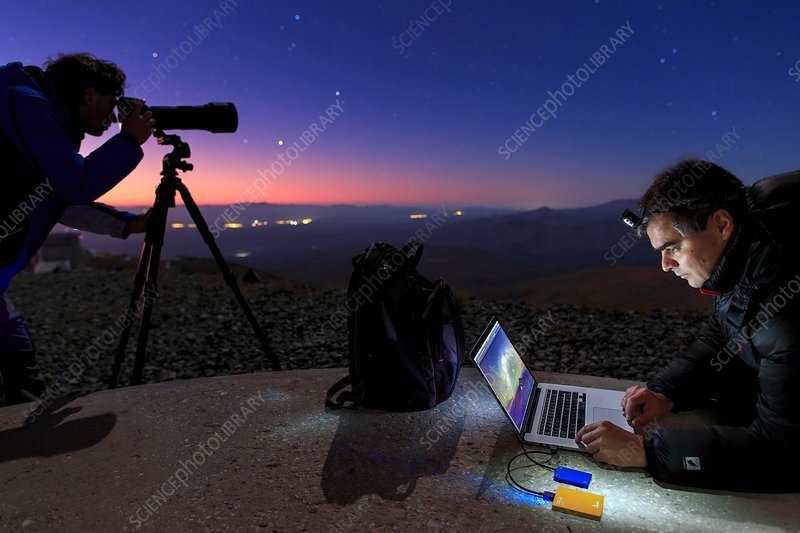 Astrophotographers taking photographs of the night sky (left) and reviewing the images on a laptop computer (right). Photographed in La Serena, Atacama Desert, Chile.